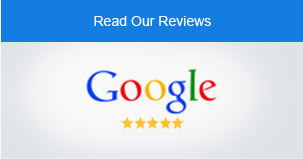 Thank you for considering our practice for your orthodontic needs. 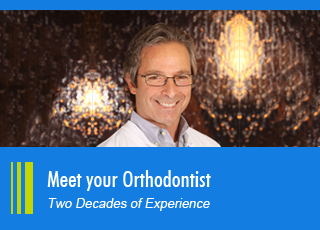 Dr. Bruce Podhouser has been proudly serving the Southern Maine and White Mountain communities for two decades–and when it comes to your smile, experience counts. Our goal is to give you more than just a beautiful smile. Straight teeth are healthy teeth! Crooked, overlapping teeth are much harder to brush and floss. Straight teeth and a healthy bite lead to optimal oral health for a lifetime. And certainly, our smiles are the first thing people notice about us. A confident smile boosts self-esteem. 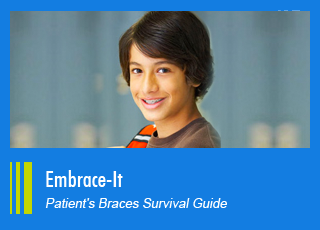 We offer the latest in orthodontic technology from clear brackets to Invisalign and Invisalign Teen. 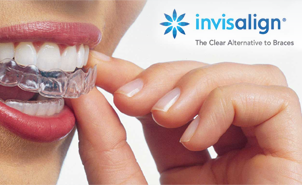 getting Invisalign, Invisalign Teen or having night-guard trays made. Our North Conway office is conveniently located off of Main Street in a beautifully restored historic house. In both offices we offer Brushing Contests where patients with healthy oral hygiene are entered to win fabulous prizes like kayaks, snowboards and gift cards. We also enjoy being more than just a dental office: We offer Red Cross Babysitting courses, both offices adopt families in need for the holiday and we support local businesses with our referral program. The OA staff is highly trained to ensure your experience with us is comfortable, smooth and enjoyable. Our friendly front desk staff helps you find appointments that fit into your busy schedule; our knowledgeable treatment and financial coordinators present the various treatment options that work best for your lifestyle and budget; and the highly trained orthodontic assistants help Dr. Podhouser make adjustments that create your best smile. In the rare case there is an emergency, we have a 24/7 on-call system to ensure your concerns are handled quickly to get you comfortable again. We commit to offering the finest quality orthodontic treatment by hiring and training the most qualified team; by staying current with changing trends through on-going professional development; and by updating in-office technology to offer the most innovative forms of treatment and care. We understand each patient has unique needs. We commit personal attention to each treatment plan to ensure your healthy bite and beautiful smile last a lifetime. We commit to practicing each day with integrity. We do what we say. 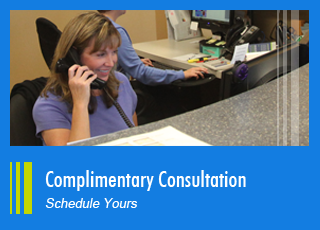 Thank you for considering our practice for your orthodontic needs. 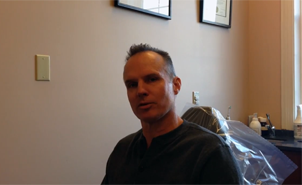 Dr. Bruce Podhouser has been proudly serving the Southern Maine and White Mountain communities for two decades--and when it comes to your smile, experience counts. Our goal is to give you more than just a beautiful smile. Straight teeth are healthy teeth! Crooked, overlapping teeth are much harder to brush and floss. Straight teeth and a healthy bite lead to optimal oral health for a lifetime. And certainly, our smiles are the first thing people notice about us. A confident smile boosts self-esteem. We offer the latest in orthodontic technology from clear brackets to Invisalign and Invisalign Teen. Our Scarborough office has an arcade, relaxing waiting room and the iTero technology does away with goopy impressions for those patients getting Invisalign, Invisalign Teen or having night-guard trays made. 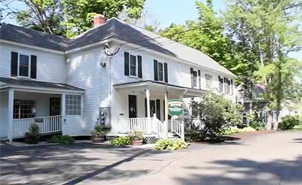 Our North Conway office is conveniently located off of Main Street in a beautifully restored historic house. In both offices we offer Brushing Contests where patients with healthy oral hygiene are entered to win fabulous prizes like kayaks, snowboards and gift cards. We also enjoy being more than just a dental office: We offer Red Cross Babysitting courses, both offices adopt families in need for the holiday and we support local businesses with our referral program.